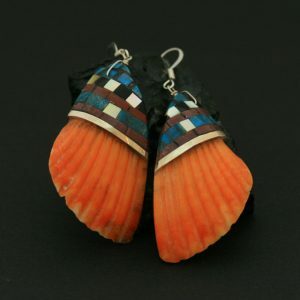 These striking turquoise inlay earrings are crafted from hand cut tiles of Sleeping Beauty turquoise, apple coral, Minnesota pipestone, mother of pearl and sterling silver inlaid onto mother of pearl. 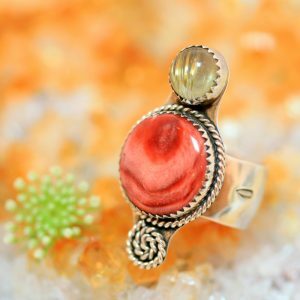 Gifted jewellery designer and maker Stephanie Medina and her son Tanner Medina work together on their one of a kind earring designs. 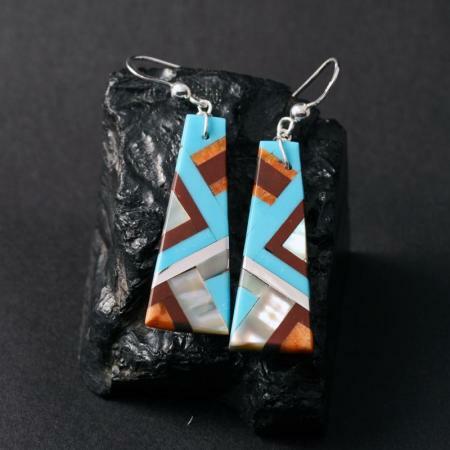 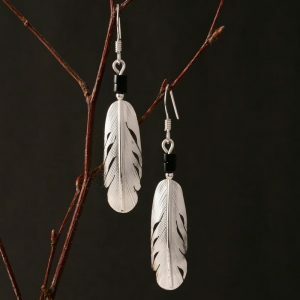 These unique turquoise inlay earrings measure 4.8cm in overall length, including the sterling silver ear wire.